Our challenge as utility communicators comes down to two separate yet interconnected things: Messaging and Messenger. That’s the Alpha and Omega of communications. You need to craft a message your audience can grasp and you need to deliver it cost effectively. A great message can be undermined by a bad message-delivery choice. And even the best means of delivering a message won’t work if the message being delivered is weak. If you are inclined to sports metaphors, think of messaging and messenger as hitting and pitching, or offense and defense. Teams need both to win games. Those tips create the acronym SUCCES. To start you on your own path to SUCCESful messaging, here are some of my favorite messages along with a brief explanation of the message and what makes it powerful. “For sale: baby shoes, never worn.” This one allegedly resulted from a bet between F. Scott Fitzgerald and Ernest Hemingway over who could write the shortest novel. This is strong on “Simple” and “Unexpected,” and the fact that they were never worn touches the “Emotional” button too. Anyone who has siblings, children, nieces, nephews, cousins or grandchildren — in other words, just about everyone — hopes there’s a non-tragic reason the shoes were never worn. 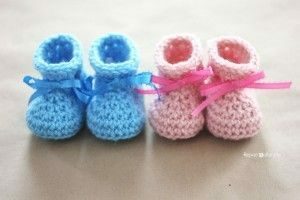 Maybe the parents received a ton of baby shoes in their baby shower, and didn’t need this pair. See, you’re engaged! 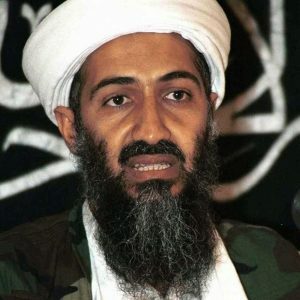 “Bin Laden is dead, GM is alive.” With this powerful applause line, President Obama touched two emotional hot buttons during his 2012 reelection campaign: How Osama Bin Laden, mastermind of the 9/11 terrorist attacks, was finally brought to justice on Obama’s watch and how the president’s economic recovery plan, launched in 2009, kept GM, a symbol of U.S. industrial might from closing its doors during the Great Recession. 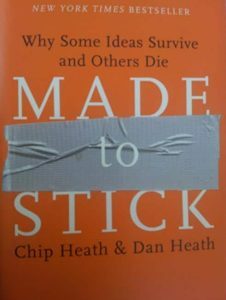 This one touches all the bases laid out by the authors of Made to Stick, with particular emphasis on Emotion. Regardless of how you were affected by 9/11 or whether someone you know could have been affected if GM went under, many people were grateful Obama did what he did. “Last year, we went swimming with anchors in our pants.” A client rattled this one off to describe how the utility’s typically high safety performance took a nosedive in one particular year. It’s certainly Simple and Unexpected, as well as Concrete. Swimming is hard enough for some people, but adding a boat anchor in your swimsuit is a colorful, relatable way to dramatize what could be a dull and dry recitation of safety statistics. “We hit a 50-million-mile hole in one.” Spoken by a NASA official after the Mars Exploration Rovers made a pinpoint landing on the red planet in January 2004. Holes in one are incredibly rare. Most golfers, even most pros, never sink one. 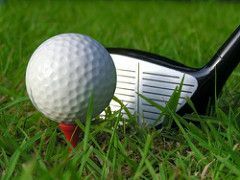 The average hole in one travels 100-150 yards, so you should be awed that NASA was able to drain one from 50 million miles away. This message scores high on the Simple, Unexpected, Concrete and Credible scales. Those who golf probably would add Emotional and Stories to the list! 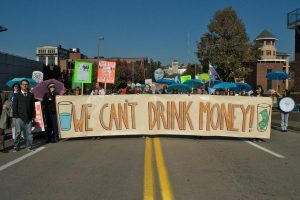 “We can’t drink money.” This is a favorite of those who oppose oil & gas drilling using a technique called hydraulic fracturing, or fracking. Oil & gas drillers typically pay landowners a royalty when they drill on land owned by others. People who oppose this drilling, called “fractivists” by some, are worried drilling will contaminate their water supply. This one scores high on the Simple and Emotional scales. Communications Tip of the Month: Powerful messaging like, “You can’t drink water” or “Bin Laden is dead, G.M. is alive,” don’t just happen. They are the product of conscious thought and targeted effort. It’s not easy but it is rewarding. Take a look at what your peer utility communicators are doing, then chart your course! How much lava is that? A scientist who studies volcanoes said an Indian volcano that erupted 66 million years ago spewed an estimated 500,000 cubic kilometers of lava. Asked to convert that to a more readily understood metric, he said that was enough lava to cover the entire surface of the Earth to a depth of about three feet. That’s a lot of lava! How far is that? Summarizing Aaron Judge’s performance at the Major League Baseball Home Run Derby last July, a reporter wrote, “Judge slugged 47 homers on 76 swings. Stacked end-to-end, his drives would have traveled 3.9 miles from home plate at Marlins Park into adjacent Biscayne Bay.” You don’t have to live in the Miami area to recognize that 3.9 miles is a long distance for a man to hit baseballs. How much water is that? “Each day we deliver 187 million gallons of water to our customers,” a water utility executive said at a recent conference. How much water is that? 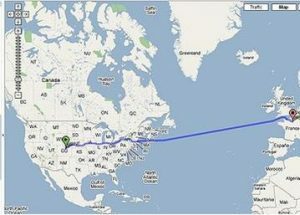 “If you put that water into one-gallon containers and placed them side to side, they would nearly go around the Earth. And that’s every day.” Like the lava example above, this works because it takes a large number most of us can’t fathom and translates it into smaller everyday measures. How much concrete is that? A hydroelectric dam owner wants to expand a dam’s storage capacity by raising the dam’s height. The current dam has 627,559 cubic yards of concrete, enough to build a sidewalk from Los Angeles to Chicago, roughly 1,741 miles. After the planned expansion, the new dam will have 1,471,559 cubic yards of concrete, enough to build a sidewalk from Denver to London, roughly 4,683 miles. This message works because even if we don’t know much about cubic yards, we all have a sense of how wide a sidewalk is, and how far it is, generally, from Los Angeles to Chicago, or from Denver to London, England. This example is Simple and, I would say, Concrete — ha ha. Cynics might say utility communications is where creative messaging goes to die. I disagree, though I do recognize there are cultural factors working against creative messaging. In a recent Subscriber Exclusive, I noted creative messaging and art from Entergy and the American Public Power Association. The water and concrete examples above came from officials at Denver Water, a water utility. This example, which I found in a Washington Post article on the difference between climate and weather, is a great example of how to explain a complicated subject using simple language and analogies. Utilities are getting more comfortable with conveying data via infographics. Video, of course, is ubiquitous. But getting there is harder than it looks. Take a look at what your peers are doing to turn dry-as-dust facts into bite-sized, easily understandable info-nuggets. Then give it a whirl!